Have you been paying attention to Windows updates? Get ready for some exciting new changes as Windows 10 is getting ready to release a new update this spring. If you’re not prepared for these changes, you will want to do some research or hire a multimedia specialist to help find new ways to use these new Windows 10 features on your website, products, services, or graphics. You will be able to choose a default feature for start-up, performance, apps, and services. With all of the competition, Microsoft is always looking for ways to make Cortana more effective. One of their ideas is to split search capabilities and Cortana into two features which have individual taskbar icons. There is also some consideration to allowing users to replace Cortana with third-party options like Alexa to improve user experiences. Due to the ever-increasing use of smartphones for internet accessibility, Microsoft is introducing Windows Dark to File Explorer as a response to the massive amount of complaints about dark theme apps that reduce the battery lifespan of user phones. Windows 10 will offer a feature that provides a light theme for the taskbar, and startup. UI elements now include shadows for popups, game bar, cloud clipboard, and menus. Users now have acrylic distortion properties on the login screen. Thanks to the demand, users now get access to new emojis like Kaomoji, Symbols, and Emoji 12. All the emoji’s in the Emoji Panel are also now draggable. Users will not automatically turn on Focus Assist when an app is in full-screen mode. Users are able to customize Action Center activities which include a bright slide bar. Windows 10 now offers better wallpaper aesthetics and color scheme updates. The Windows 10 Snipping Tool supports app screenshots for easy accessibility. Users now get icons for account menu and power tabs on the menu. Users now receive a simplified start menu layout with a cleaner setup option. File Explorer now uses Friendly Dates as the default format. Users can now access the Start Menu to unpin complete live tile groups. Of course, this is only the beginning as Windows 10 has many more innovative features to deploy during the next update. 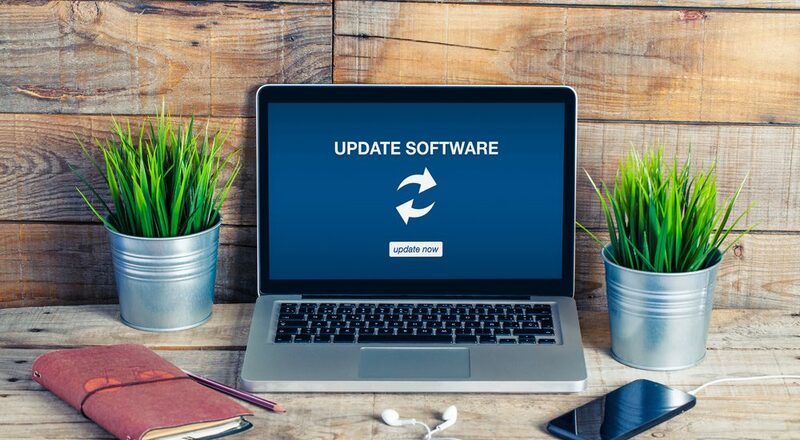 The massive amount of changes leaves many businesses to question just how to update, install, and test the features without disrupting Windows usage. Unfortunately for businesses, IT personnel do not know of bugs until users respond which is a risky endeavor to overcome if it leads to website downtime or product dysfunctions. Some IT configure the machines through automatic updates. Others use WSUS to test patches before deployment. Some businesses plan and manually install to reduce downtime. Some IT find innovative ways to use features to expand the website and new product features. How does your business plan to use the Windows 10 features update? Let us know in the comments below.